Stainless surgical steel sheets 1.4028Mo, 1.4034, 1.4031 YOUR QUALITY ADVANTAGES WITH INSTRUMENT MATERIALS Greatest possible variety of hardenable and heat treatable ( martensite ) materials suitable for a wide range of instruments * Improved corrosion resistance in materials containing 17% chromium in comparison with those containing 13%. * Best corrosion resistance in martensitic qualities as a combination of fine surface machining and hardening Specially designed for rotating instruments: closest tolerances excellent straightness highest surface qualities High-tech special qualities for surgical needles, bone saws, dental braces nerve canal files, drills, rotary grinders and much more Unique specialty materials, e.g. 1.4034 (produced as per EN 10088-2, or on agreement like increased chromium content) 1.4028MO (+Mo) = 3Cr13Mo 1.4031 = X39Cr13 1.4109 = 440A 1.4125 = 440C 1.4116 = X50CrMoV15 1.4028 = SUS420J2 1.4021 = SUS420J1 Your contact - we are specialized in the high performance stainless martensitic steels. 2.What quotation do you offer9 ---FOB , CIF and other ways according to your needs. 6.Can we print your own logo 9 ---Yes, we can print logo for you. 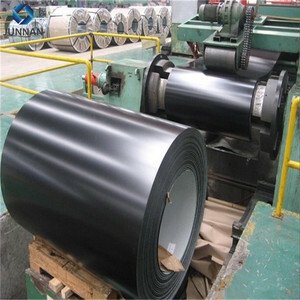 We have our own factory--Tangshan Fengrun Jinhang Steel Industry Co.
Shanghai Golden Bridge Industries Co., Ltd.
Hangzhou Fuyang ZongJian Machinery Co., Ltd.
Wuxi Liangjiang Metal Co., Ltd.
Alibaba.com offers 95 1.4028mo steel strips products. About 10% of these are stainless steel strips, 1% are steel sheets. A wide variety of 1.4028mo steel strips options are available to you, such as aisi, astm, and jis. You can also choose from free samples. There are 15 1.4028mo steel strips suppliers, mainly located in Asia. The top supplying country is China (Mainland), which supply 100% of 1.4028mo steel strips respectively. 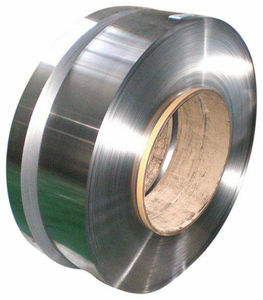 .4028mo steel strips products are most popular in Western Europe, Northern Europe, and North America.